...is a play-by-email starship simulation, one of the flagships of Obsidian Fleet. 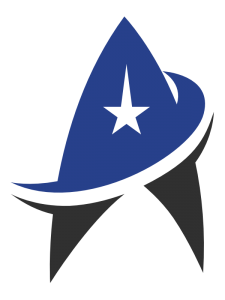 A writing game set in the Star Trek universe. You design a character and write from your character's perspective with a group of other writers, all doing the same thing. You can be anything from a high-ranking department head to a civilian child. All you have to do is love to write! ...we're focused on fun, friendships, and writing. We don't care for conflict, politics, or drama. Read our Recent Posts first, then check out our bios to see what you'll need to design. Finally, click the 'Join' link above or the "Apply Today' links on our crew manifest to become a member of our little community! 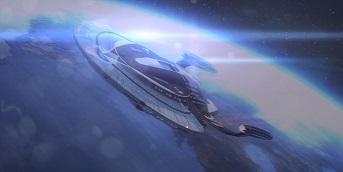 USS Hiroshima is a Vesta Class starship that travels the length and breadth of the Federation. Home to the longest serving crew in the Ninth Fleet and under the command of Captain Evan Yearling, the ship is assigned to the Independent Fleet Operations division of Obsidian Fleet. We’re a big ship with big missions - we lend humanitarian aid to stricken civilisations, rescue stranded freighters, disrupt hostile intrigue, discover the most amazing natural wonders, defend the Federation and represent it in diplomatic encounters and important negotiations. And, of course, we're a community in space. In Character Realistic storylines, excellent characters and enjoyable plots are what we offer to all of our members! There’s also plenty of space to develop sub-plots, character development arcs, and additional storylines. Out of Character We focus on the motto of ‘Friendship and Fun through Quality Community Roleplay’. We’re all here to sim, but we’re also here to make friends, and to have fun. After all, this is recreation, isn’t it? How do we sim? USS Hiroshima uses Yahoo! Groups - one for posts and personal logs, and one for out-of-character discussion and chat. We work together through joint posting, not just for the fun of writing together, but also to get to know each other, and to have fun. And to populate the background a little bit, our NPCs tell even more stories alongside our active characters. So... I’m interested - how do I get involved? We have a number of excellent positions available, all offering their own unique challenges and rewards, so please feel free to have a look at the Manifest for something you'd like. And if you spot a position that strikes your fancy, go ahead and apply!